The BFG debuted at number 4 this weekend, behind Finding Dory, The Legend of Tarzan and The Purge: Election Year. 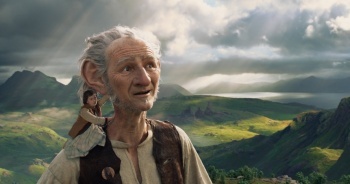 Our own Matthew Parkinson said that The BFG is one of the worst movies of Steven Spielberg's career, and it seems like it may also be his worst performing movie. The adaptation of Roald Dahl's beloved children's book debuted at number 4 at the box office this weekend, behind Finding Dory, The Legend of Tarzan and The Purge: Election Year. It pulled in a mere $19.6 million, which considering it boasted a production budget of $140 million, is a pretty major flop no matter what way you look at it.